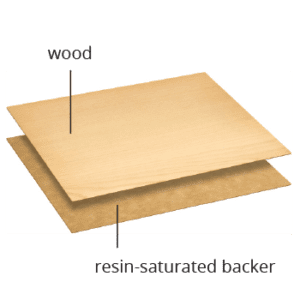 Veneer is available finished or unfinished. 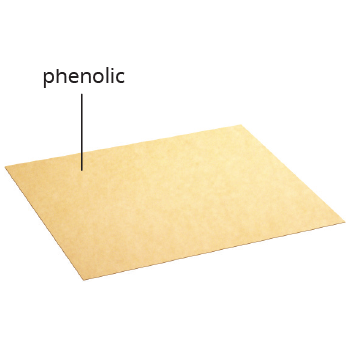 All veneers are available with or without pressure-sensitive adhesive (PSA). 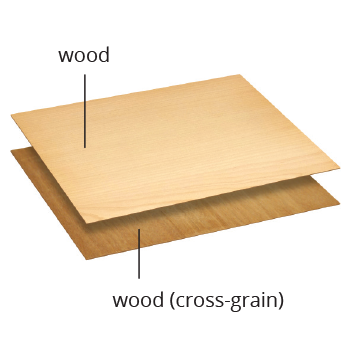 Veneer is stocked in 24” x 96” sheets (36” available upon request) and can be slit to custom widths. 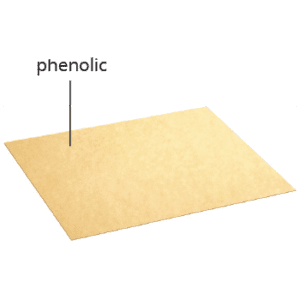 Paintable phenolic is an excellent option if you are looking for a thin, flexible, easy-to-cut product that will not crack. Easier to cut than wood veneer. Painted surface is smooth and uniform. Cut strips in any direction to optimize yield. Light-colored core is easy to touch up. 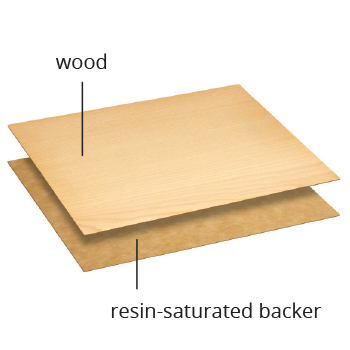 Real wood veneers are permanently bonded under heat and pressure to resin-saturated backer sheet. This backer allows flexibility and acts as a barrier to prevent adhesives and finishes from penetrating. 30 Mil available with any finish. 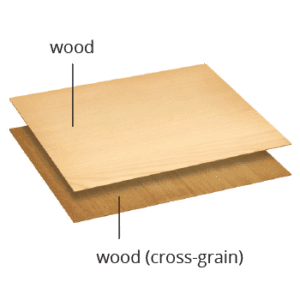 WOW has a cross-grain wood backer that minimizes wood veneer’s tendency to expand and contract across the grain. Resistant to ridging and bubbling. Available in limited wood species—see website. 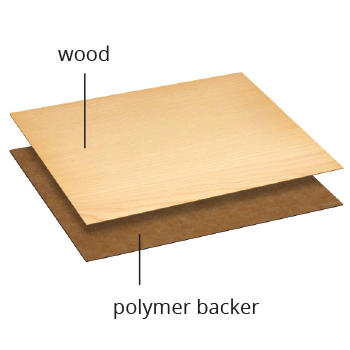 Wood polybak is genuine wood veneer that has a backer impregnated with polymer resin. Does not dry out and become brittle. Backer has been rated Class A for flame spread.